For a summery, beach wedding white calla lilies work a charm. Why? They withstand heat really well, unlike other more delicate blooms. 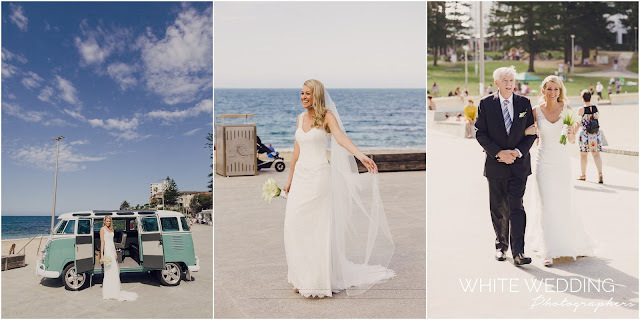 And they keep their elegant form, even after tonnes of photo taking, a wedding ceremony and night-time reception. 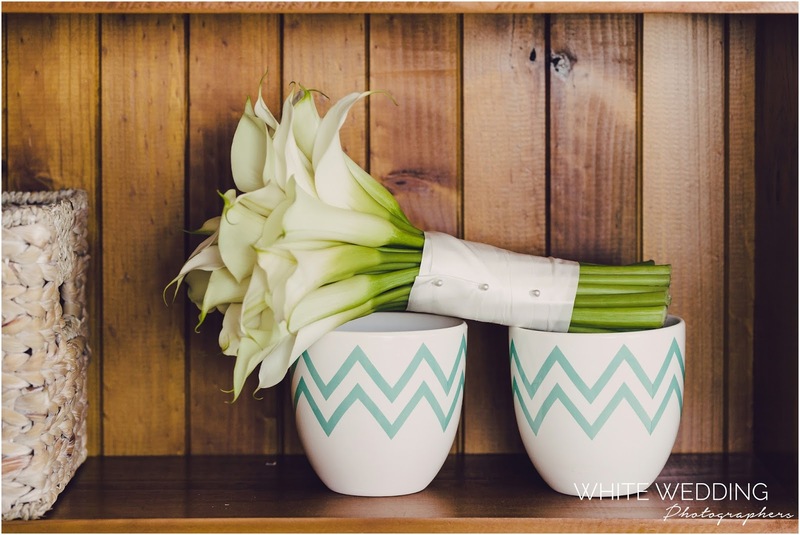 They really are a bride's dream wedding flower. 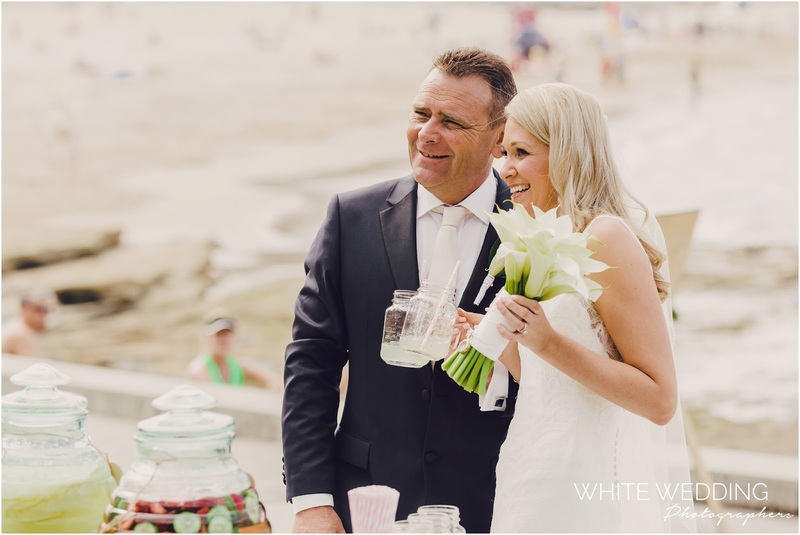 Emma opted for white calla lilies for her relaxed, coastal wedding and they echoed her Cronulla seaside wedding vibe so well. Steve wore a single stem calla lily buttonhole. Beautiful happy couple, laid back and in love. 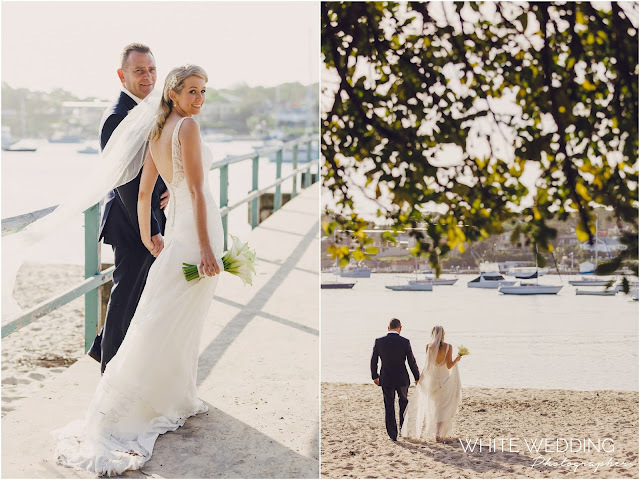 Emma and Steve were married at South Cronulla Beach, with their reception at Zimzala Restaurant. 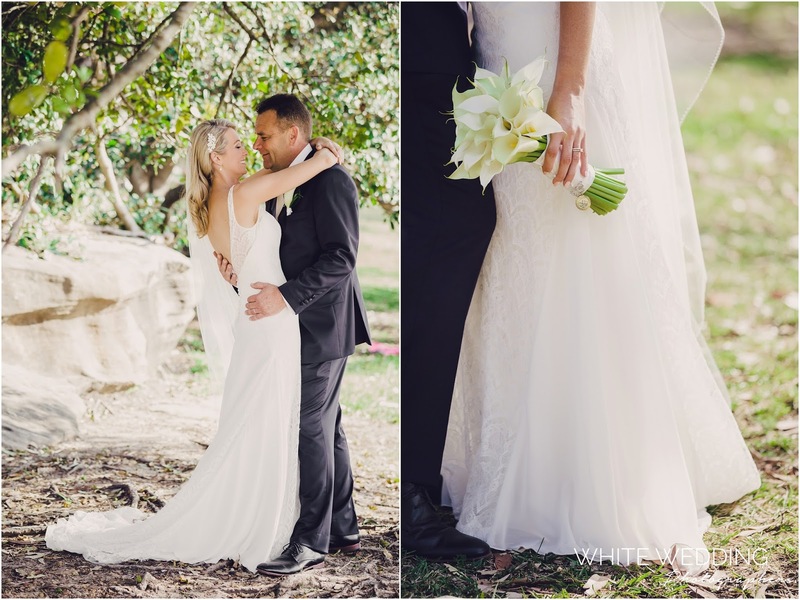 And these beautiful captures of the day by White Wedding Photographers.